A safari in South Africa offers fascinating national parks and impressive wildlife. But when is the best time to visit South Africa? Read on below and learn more about the South African climate and wildlife at different times of the year. South Africa is a fantastic safari destination all year round, but certain times of the year are better than others, all depending on your priorities when it comes to activities and experiences. South Africa is a large, diverse country. As in the UK, the seasons can merge into one another, and the weather varies according to which part of the country you are in. 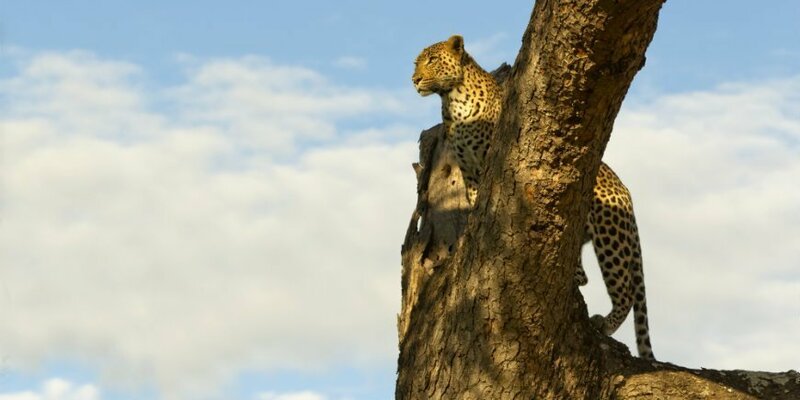 This guide is therefore primarily aimed at those wishing to go on safari in Kruger National Park. In South Africa, it is winter when it is summer in the UK. However, it never gets as cold as British winters. It can get cold at night, but the average day temperatures over the year range from 23–29 degrees. Unlike in Tanzania, for example, there is only one rainy season in South Africa. The rainy season in Kruger runs from November to February, the summer months in South Africa. This said, it is predominantly sunny. 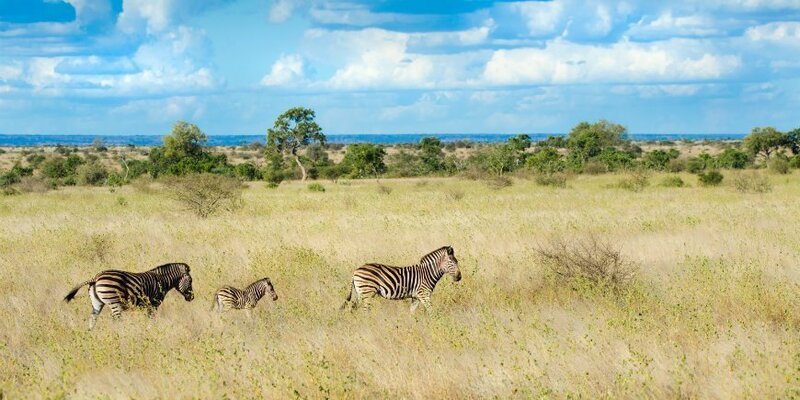 Zebras, hippos, giraffes, baboons, kudus, water bucks and exciting species of birds. There is also a good chance of you seeing The Big Five. The Big Five is an old hunting term for the lion, the elephant, the rhino, the buffalo and the leopard, which are the most difficult and dangerous animals to bring down. Today, the expression is also used in connection with safari. Although the weather and wildlife vary from season to season, we must point out that you are guaranteed to return home a whole host of amazing animal and nature experiences the richer – whatever the season. The summer in South Africa offers lots of sunshine and rain. The hot weather – some days above 40 C – combined with a high humidity means that you may experience some torrential downpours. Summer is a beautiful time of the year, with lush landscapes and dense vegetation. However, this may make it a little harder to spot the wildlife hiding in the bushes. 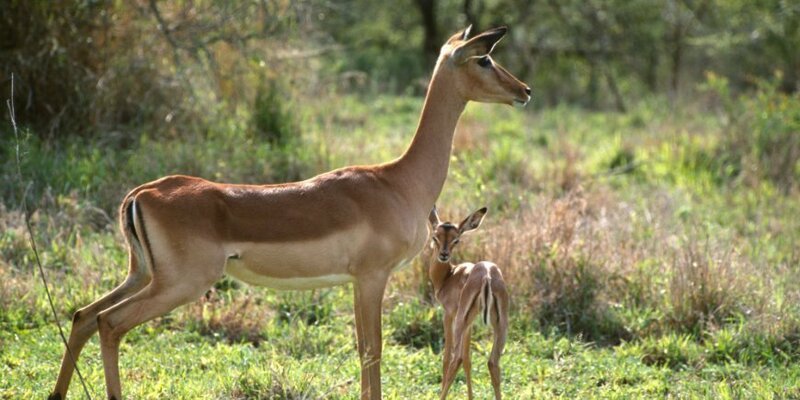 If you are hoping to see newborn animals, your chances are good from late November–early December, when Kruger is bursting with young, which are easy prey for the park’s predators. What’s more, the birdlife is absolutely fantastic from December–February, when several exciting bird species, such as the tinkerbird and the common kestrel migrate to the national parks. At the beginning of autumn it is still hot and it still rains a lot, but not anything like as much as in the summer. Heading towards May, the temperatures become more comfortable, it rains less, and the evenings and mornings are cooler. The rainy season may have ended, but the South African rivers and water holes are still full of water in early autumn. So, you will see a beautiful, lush bush landscape, which becomes smaller and less lush as winter approaches. The South African winter offers pleasant daytime temperatures, but quite cold evenings, nights and mornings. If you are travelling during this period, you will need to have warm clothes with you. Winter is the time of year when the least rain falls, and the lack of rain makes for a more barren landscape. The bare landscape makes it easier to spot the amazing wildlife, which cannot hide in the bushes. 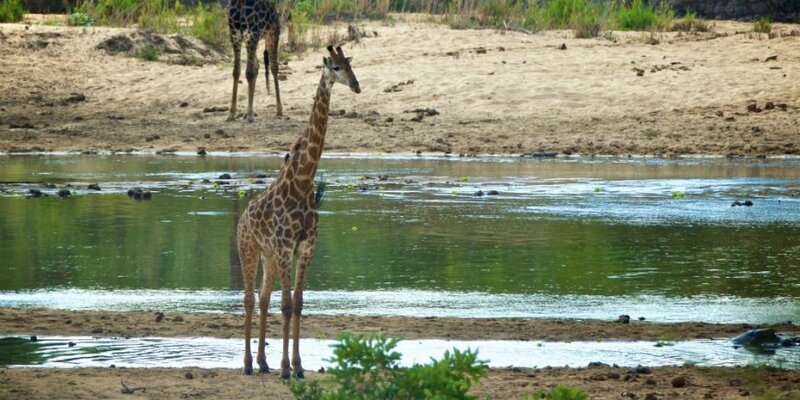 The animals also flock around the few waterholes where there is still water. 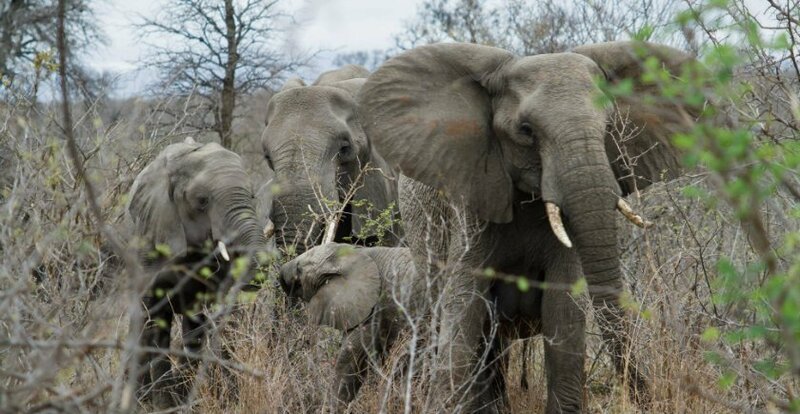 It is during this period that there is the greatest chance of seeing The Big Five. There are fewer visitors in winter, so you will perhaps feel more at one with the savannah. Temperatures rise again during the spring, and it may feel very hot during the day. It has not rained for some time, and the animals gather in earnest around the waterholes where there is still water. The landscape is still bare, making the animals easy to spot. If you would like to visit Cape Town in combination with a safari in Kruger, spring is the ideal time. This is when all the wild flowers bloom, forming a unique, colourful landscape along the South African coast. Spring is also the peak season for whale watching in Cape Town. From June–November, the big whales head for South Africa’s long stretch of coast to breed, making them easier to spot. Still unsure about the best time for you to visit South Africa? As the above is only a guide, we always recommend contacting our travel consultants, who have extensive experience of our destinations in Africa. They can help you choose the right tour and departure date.